Even though a well-deserved holiday is super exciting, being stuck for a couple of hours or more on a flight can feel uncomfortable – for you and your skin. Walking out of economy class feeling dehydrated and in need of some fresh air is not the best way to start (or end) a break. So how do you take care of yourself and make the whole experience more comfortable? 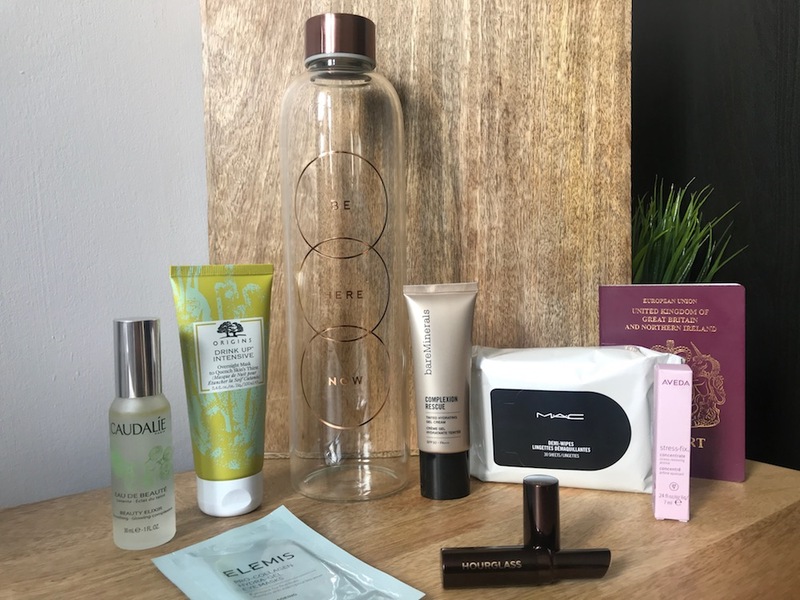 Beth Squires shares the inflight goodies – all 100ml or less – that have become essential parts of her carry-on bag, to help make sure you get to your destination feeling a little more zen, with skin that suffers less. I always wear a little makeup while I travel to and through the airport, so the first thing I do once we’re in the sky is cleanse my face. While not the best for everyday use, face wipes are best for festivals, very late nights, and flights! They’re the perfect thing to save you faffing about, you can also use them to freshen up at your seat or in the bathroom during the flight. These mini MAC Wipes (£12) are great and contain protective Vitamin E. (A quick airport tip – carry an empty reusable water bottle like this one from Kikki K (£18) and fill it up at the water fountains after security, instead of having to buy bottles to stay hydrated on the plane. It’s good for the environment and long term for your wallet – plus it will be useful when you get to the hotel too! Planes hold a lot of passengers, a lot of smells, and those smells are… well… contained. A large scarf or pashmina (£19) that smells like home can help bring comfort in terms of scent and extra seat softness if you wrap yourself up in it, while also warding against any chilly temperature moments. If you feel at all tense during take off and landing don’t underestimate aromatherapy to help you relax. A little Aveda Stress-Fix Concentrate Rollerball (£22) on your wrists and other pulse points can help – even a little on the scarf you carry. It contains essential oils to help ease any stress and tension, with lavender, lavandin and clary sage. If aromatherapy isn’t up your street, any familiar comforting scent will do – when I travel solo for work, I spray my husband’s aftershave on my scarf or t-shirt and breathing that in occasionally is a million times better than the smell of the plane. Speaking of comforting scents, one product I never ever travel without is Caudalie’s Eau De Beauté (£12) travel-size face spritz. Primarily for refreshing your skin, it contains rosemary to energise, rose to tone skin, and grape to hydrate and add radiance – plus a gentle fragrance that’s as refreshing as the fine mist. A spritz over your face (or any bare skin) of this once you’ve taken your makeup off will prepare your skin nicely for what’s next and feels lovely. The humidity on a plane is usually very low – less than 20% – and this dry air can cause some serious skin dehydration. Packing a moisturising face mask for the plane and your holiday isn’t something you’ll regret – but not everyone’s super comfortable slathering a sheet mask or thick white layer of mask on a plane next to people they’ve never met. I’d suggest the brilliant Origins Drink Up Intensive Overnight Mask (£26.50) to remedy this. The product is clear so you’re only going to look a little bit shiny on the plane – and as it’s made for you to wear overnight, you can wear it for as long as you want, from an hour to eight plus. It’s also great to apply before bed after any late nights on your holiday – your skin the next morning won’t give the game away at all. 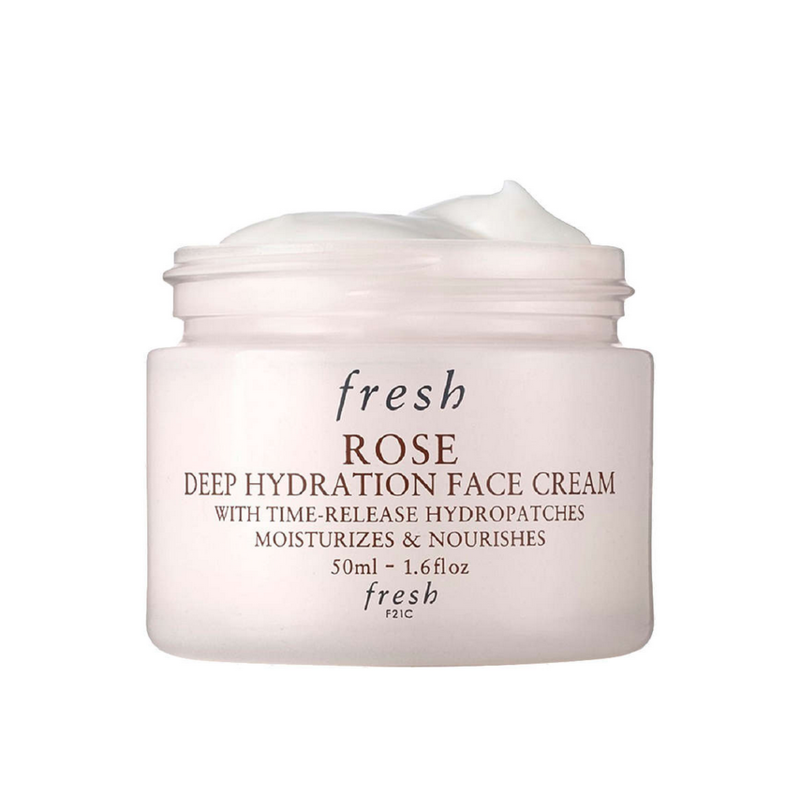 If you’re on a long flight and you’re ready to remove the face mask, tissue or face-wipe off the excess, spritz your face mist over your skin, and add a rich and beautifully scented moisturiser like Fresh Rose Deep Hydrating Face Cream (£35) to tide you over until you’re close to landing. I can’t stress how much lovely gentle scents – that aren’t intrusive to those around you – make a difference on a flight to make you feel a bit more zen. If you want to add a little more pamper to your plane time, deter puffy eyes by applying Elemis Pro-Collagen Hydra-Gel Eye Masks (£48.50 for 6 sets of 2) before you moisturise. Unlike a lot of under-eye masks, these are clear – although to be honest they are more noticeable than the face mask. Still, the cooling sensation and effects are so worth it on a stuffy plane. Any puffiness will vanish, your under-eye area will get a shot of intense moisturisation. By now it’s very clear that the name of the flight skincare game is hydration, so if you get to a point where you want to put on a bit of makeup to arrive at your destination, a tinted moisturiser with SPF 30 or higher is a must-have. bareMinerals Complexion Rescue (£28) is my favourite – a tinted gel cream texture that leaves you radiant and natural and blends so well, but also gives a nice amount of coverage. 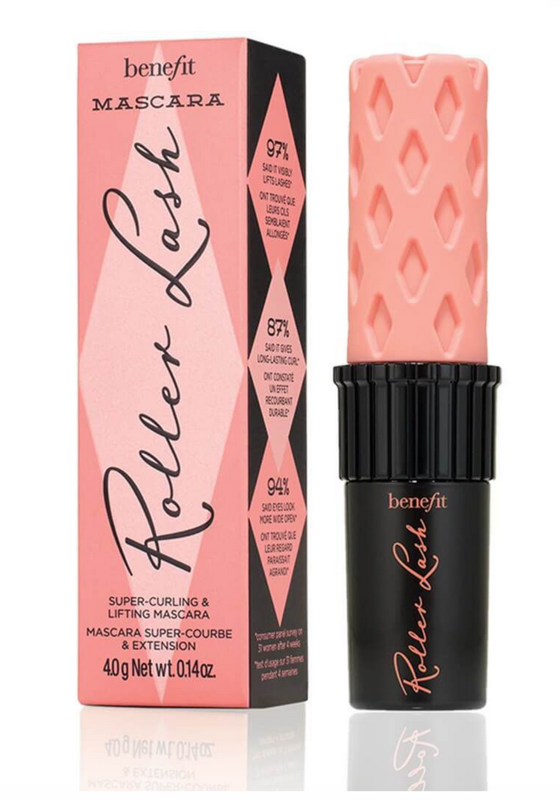 Another essential for me is Hourglass Hidden Corrective Concealer (£25, but lasts and lasts) for any spots, and my lashes are blonde so I’ll carry a mini of Benefit’s Roller Lash Mascara (£10.50) too – all for a five-minute make-up application before I de-plane. Then all that’s left to do is enjoy that holiday…. All of these items are available to Click & Collect to your nearest CollectPlus point, which makes online shopping so much easier. Say goodbye to staying in all day waiting for your order and hello to freedom.